Wireless range of up to 30'. 128-Bit Encryption Standard (AES) technology. 128-Bit Encryption Standard (AES) technology. 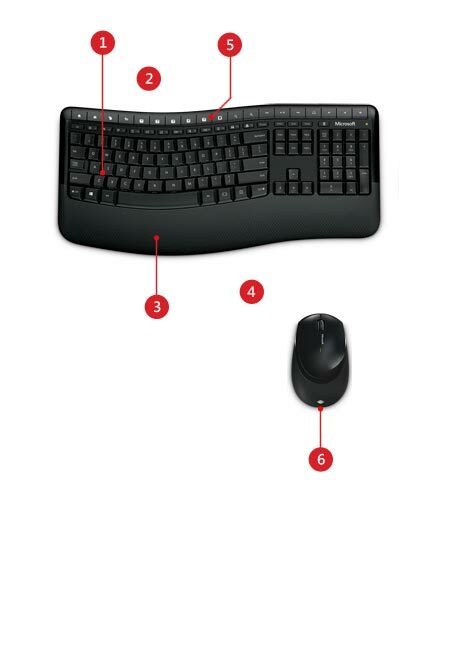 Designed to help protect your information by encrypting your keystrokes. Customizable shortcut keys to easily access your favorite programs. Works on virtually any surface with BlueTrack Technology. Features an ergonomist-approved comfort curve design. Built in palm rest helps support and straighten wrists. Ambidextrous design is suitable for use with either hand.